By engaging in hands-on activities, children learn how engineers apply their scientific and technical knowledge to design machines and devices. Students start by learning some engineering basics with experiments on levers, forces, and pulleys and building simple devices using these basic components. 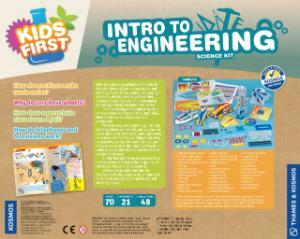 They can also explore engineering on land by building vehicles with wheels, such as a race car and a wind-up car. 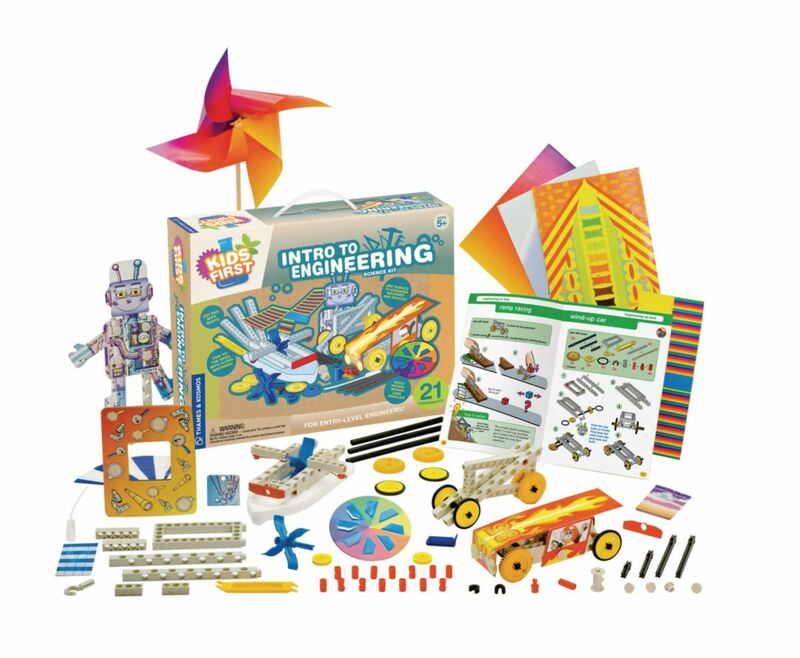 Children investigate air-related engineering by building a helicopter, a pinwheel, a parachute, a glider, a balloon rocket, and an air-powered carousel. They can build a diving bell, a sailboat, and a paddle boat to experiment with engineering in water. Finally they find engineering at home with experiments modeling the telephone and television. 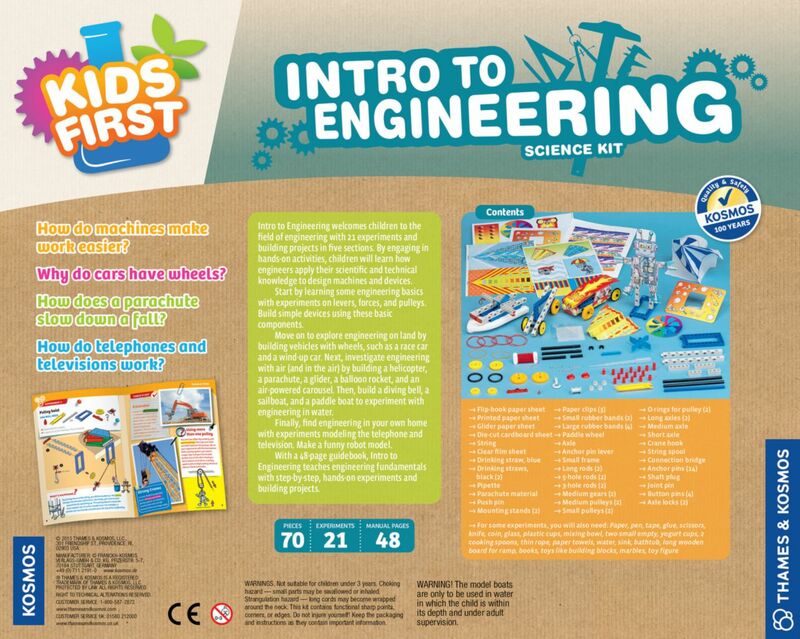 With a 48-page guidebook, Intro to Engineering teaches engineering fundamentals with step-by-step, hands-on experiments and building projects.